Based on original content by Aude Konan. French cuisine, especially in London, can be pricey. Thankfully there are some restaurants, bars and bakeries for those on a budget. Here's a list of the best French eateries that are pas cher. 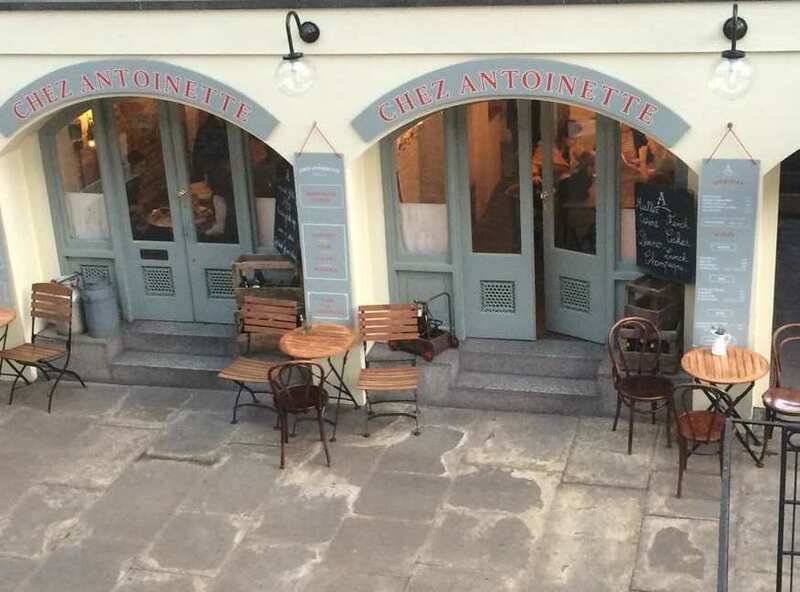 Primrose Hill's L'Absinthe is a very affordable restaurant, offering sandwiches, tartines and crepes for around the £5 mark and croque monsieurs and madames for £6-8 a pop. They also have a two course lunch deal for just £15 with offerings including marinated herring, stuffed mushrooms, confit duck and steak frites. As for the dessert, try their Crepes Suzette, a classic for £5.75. 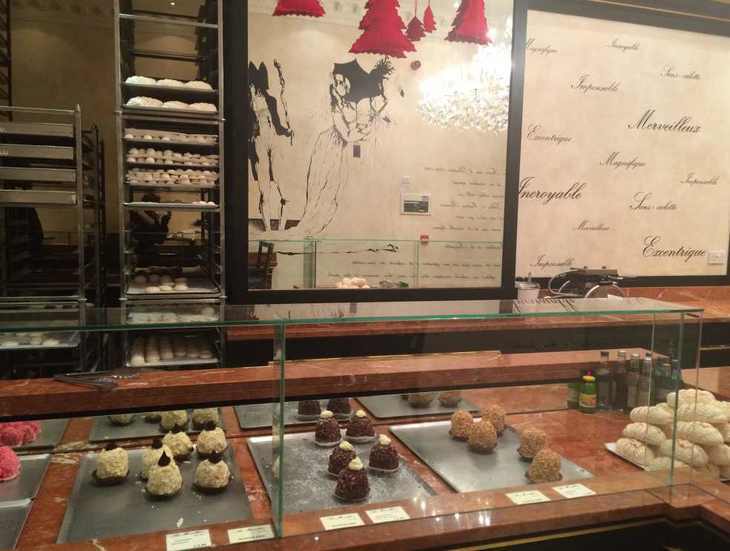 This classy bakery is a must among French expats and students attending the nearby Lycée Charles de Gaulle. There's a second venue in Clapham, too. The staff welcome customers in French, which is good if you want to practice it, but switch quickly to English for those who need it. The patisseries, croissants and brioches on offer are homemade. A fluffy meringue or soft-as-they-come brioche bun will set you back just a couple of quid. A great place to go to for teatime. Bonus: you can sit in and soak up the atmosphere. The waiters at Chez Antoinette are incredibly nice and genuinely care about providing a pleasurable service. It's a small, cosy place frequented by the French community with retro touches, from the music to the decor. The restaurant is hidden downstairs in Covent Garden and serves tartines (open bread with filling) from £7. Even if you splash out on the three-course pre-theatre menu, it'll still only set you back £16. 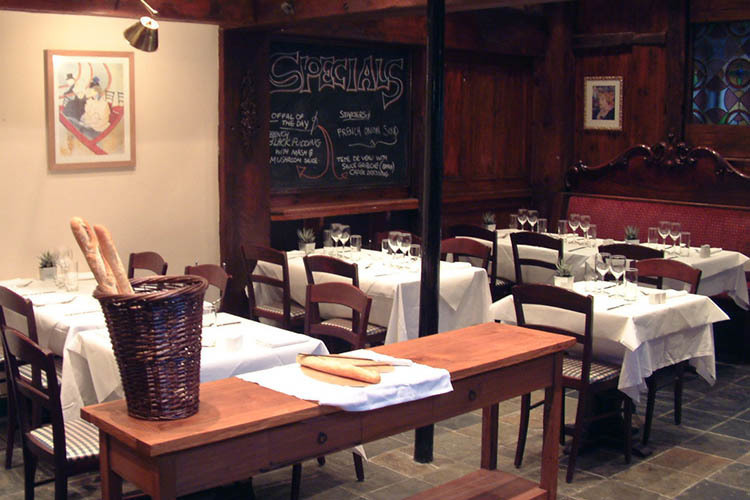 We challenge you to find better-value French cuisine in central London. A beautiful, art deco interior belies a surprisingly reasonable menu at this grand Parisian brasserie in Soho. Brasserie Zedel is all about the classics — onion soup, beef bourgignon, grilled asparagus and even a half-dozen or dozen snails — but without the classic prices. The prix fixe menu comes in at £13.75 for three courses, or £10.50 for two. The high ceilings, white marble columns and beaux fixtures are just a bonus. Describing itself modestly as a 'small Alpine bistro in a shipping container', Alpes is the latest passion project from streetfood-mongers Raclette Brothers. And that shipping container might be small, but zut alors, does it pack in a lot of mountain richness. Prices look decent on paper, and prove doubly so when you realise dishes like the Raclette Jurrassienne (£8) should really be shared between two — sure, you could tackle the heap of potatoes, pickles, pancetta and melted cheese solo, but you'd need to go fast and hard to keep the raclette still hot and oozy throughout. Far better to split one and invest in some deep-fried olives stuffed with goat's cheese, a mad but saltily splendid clash of flavours (£3.50) and a slab of tartiflette (£9). Well-chosen wines start at £20 a bottle. Formidable. Alpes, 49 Brixton Station Road, SW9 8PQ. South London has its fair share of French diners, but while most reside south west, Toulouse Lautrec Brasserie is keeping south east London afloat in cassoulets and charcuteries. 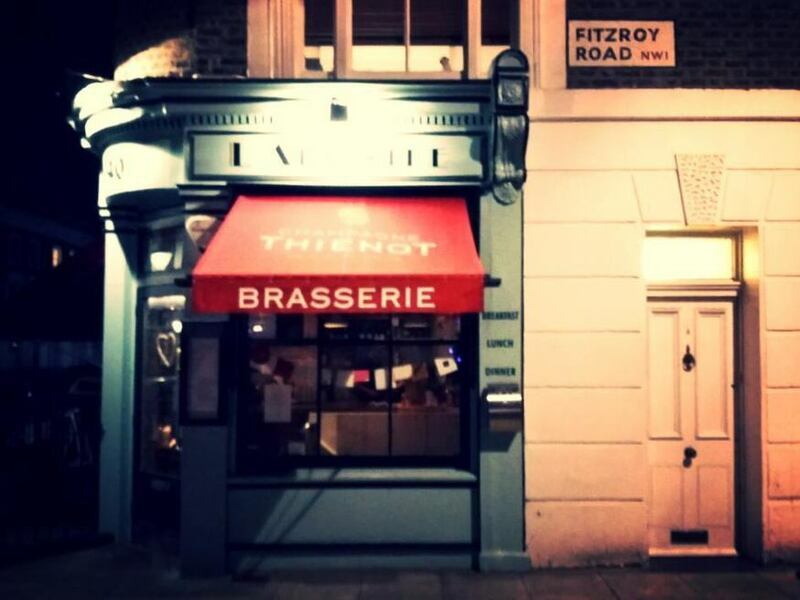 Situated between Kennington and Elephant and Castle, this French restaurant-slash-jazz bar is full of charm and worth an evening visit so you can enjoy your live jazz with a meat or cheese sharing platter for just £13. 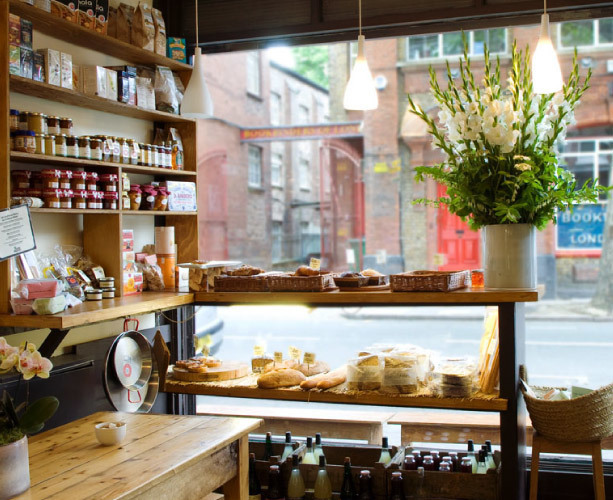 Perfect for a croissant and strong coffee, or a larger sit-down lunch, La Peche Mignon in Highbury offers French treats at a very fair price. The daily plats du jour are freshly made on site and range between soups, stews and salads. Wonderfully flaky quiches and crunchy baguettes for less than £5 each are available throughout the day, but be prepared to take your goodies away as spaces at this cosy cafe's communal table fill up fast. If big sandwiches are your very own raison d'etre, then this Kensington cafe is unlikely to disappoint. Alongside a giant range of filled baguettes (honey-roasted ham and Emmental, grilled pepper and artichoke, roast beef and rocket are just some of the choices on offer) around the £6 mark, you can also pick up French pastries, salads and breakfast options. Perfect for fuelling a day of museum-going. This family-owned, authentic French bakery has simple deliciousness nailed. Aux Pains de Papy is your go-to for flaky, buttery croissants and fluffy baguettes, all handmade on-site and warm from the oven. Freshly-baked pastries sit around the £2 mark and are worth every penny. The unfailingly warm welcome just tops it off. How Deep Does London Go?